Each year, the NBA Draft brings excitement and renewed hope for many teams. When a team has a poor season, they typically get to benefit from the one of the first picks in the draft. Taking advantage of such an opportunity can go a long way to changing the outlook of any franchise. However, it is way too often that we see teams squander their chance at reversing their own fortunes. Don’t get me wrong. There are no guarantees when selecting a player. For whatever reasons, almost every player has the potential to be a bust, regardless of their level of talent. This has been evident through so many top prospects failing to materialize their skills in the NBA game. But there are also times when NBA GMs simply make mistakes, and the fans will never let them forget it. Perhaps they overthink the pick, or maybe they just get a little too fancy. Other times, the player just doesn’t pan out the way both teams and the general public had initially anticipated. Below is Sports Retriever’s list of the worst lottery picks in NBA Draft history. Bradley was a tempting prospect for NBA teams, mostly due to his outrageous height at 7’6. 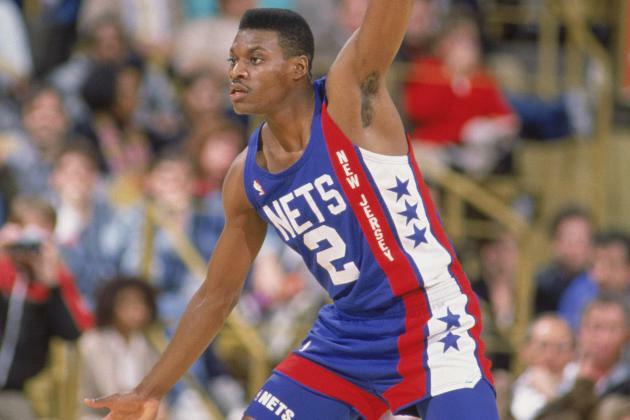 He was the number two pick in the 1993 draft, but the Philadelphia 76ers would regret drafting him shortly thereafter. While he did last in the league for more than a decade, he was considered a major disappointment, relative to both his expectations and the draft equity used to acquire him. 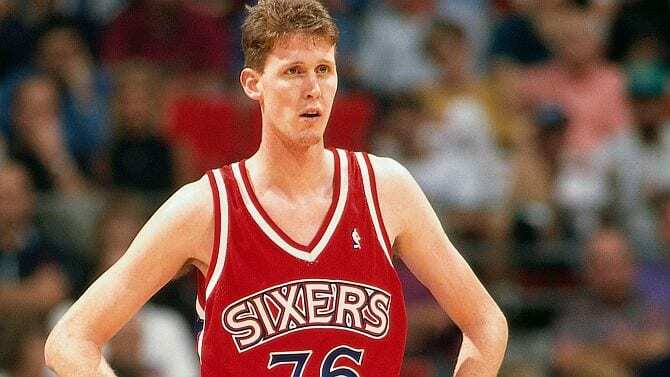 Of course, the fact that Penny Hardaway, Allan Houston, and Jamal Mashburn were all drafted after him makes the magnitude of this mistake much worse for 76ers fans. 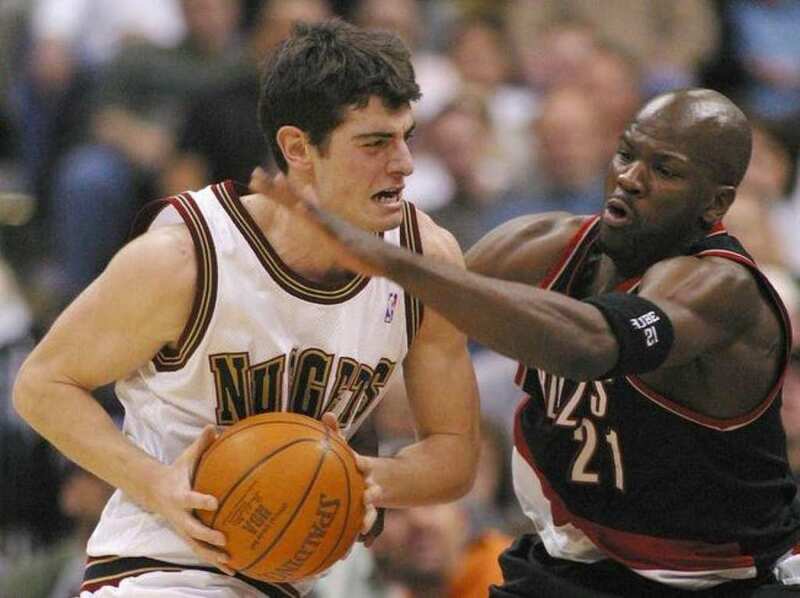 The fifth overall pick in the 2002 draft by the Denver Nuggets, Nikoloz Tskitishvili, was a major disappointment to say the least. The Georgian-born center was putrid at the NBA level, averaging just 3.8 points and 1.9 rebounds per game. He shot just 30 percent from the field, despite playing so close to the basket. He would only last in the league for four seasons. The Nuggets would have been wise to invest their draft capital in Amar’e Stoudemire, who was taken with the ninth pick by the Phoenix Suns. While his draft stock wasn’t as high as some of the other players on this list, his disappointment was as decisive and swift as any. Selected by the Milwaukee Bucks in the 2008 draft, there were high hopes for Alexander following his impressive collegiate career at West Virginia. His impressive showing at the NBA Combine got him a lot of praise and attention. Unfortunately, he was unable to translate his athleticism to success at the NBA level. Alexander was out of the league just two seasons later, and wound up playing in the NBA D-League, after averaging a very lowly 4.2 points and 1.8 rebounds per game. The Bucks would have done much better to have drafted Roy Hibbert, DeAndre Jordan, or Serge Ibaka that year. It’s a commonly known fact that many NBA players don’t last in the league very long. But when teams invest their lottery draft picks in a prospect, it is still very disappointing when things don’t work out as expected. 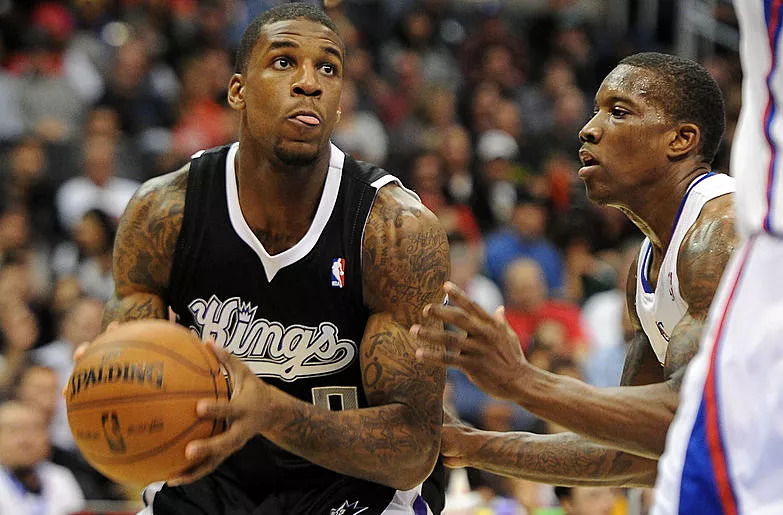 Such was the case with Robinson, whom the Sacramento Kings drafted with the fifth pick in the 2012 draft. The very next pick that year? That would be Damian Lillard. Even Harrison Barnes at number 7 would have been a much better selection for the Kings. For Robinson, the disappointment only escalated from there. He was traded to the Rockets less than one year after being drafted. He ended up playing for six teams in just five seasons in the NBA, before finding himself playing in the Russian basketball league. It’s kind of difficult to pinpoint where exactly his career deteriorated, but at the time of the 1987 draft, Hopson was the all-time leading scorer in Ohio State history. While that might explain the decision to select him, it is difficult to understand why the team would go on to select six guards in the draft (when the NBA Draft still had seven rounds). Hopson’s career ended rather quickly, as he was out of the league within five short years. He didn’t even remain in Jersey (now Brooklyn) for all of them. Meanwhile, the Nets could have really improved their fortunes, had they drafted Scottie Pippen or Reggie Miller, both of whom were selected after Hopson. 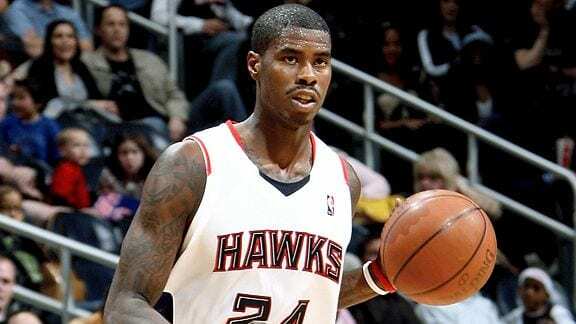 The Atlanta Hawks had just ended a putrid season, signified by a 13-69 record. The reward was the second overall pick in the subsequent 2005 draft. So it would make sense for the team to utilize their pick wisely. Instead, the Hawks squandered their opportunity to pick up a gem like Chris Paul, only to use such high draft equity to take a North Carolina bench player. Such a decision is truly perplexing, as they likely could have traded down and still added him to their roster. As one would expect of a player who couldn’t even become a starter at the collegiate level, Williams did not have success to remotely justify his draft stock. Other players that were passed on in favor of Williams were Deron Williams and Monta Ellis. NBA drafts are often full of dilemmas and tough decisions. At times, teams must decide between drafting a raw talent with a seemingly unlimited ceiling, versus a more polished player that has a lower chance of becoming a star. 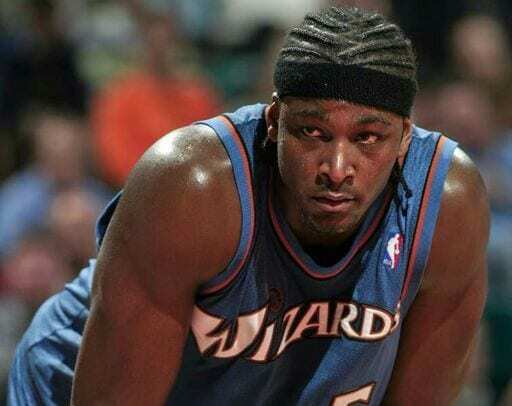 In the 1998 draft, the Los Angeles Clippers opted to go with potential by drafting Olowokandi, and saying that it did not work out is an understatement. 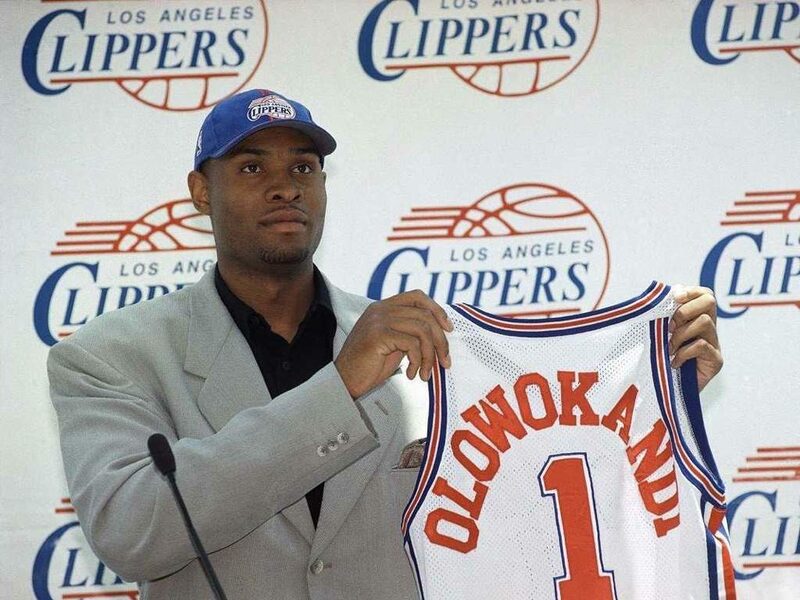 Olowokandi was the number one overall pick in the draft, and in the process, the Clippers forewent on adding several eventual high-caliber players, namely Dirk Nowitzki, Paul Pierce, and Vince Carter, all of whom would have go on to have great careers. The 2011 draft was full of many potential great picks, yet somehow the Minnesota Timberwolves were still able to mess it up. 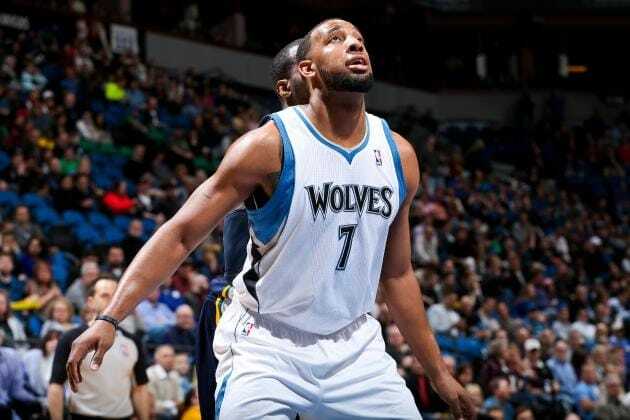 They used the second overall pick on Arizona’s Derrick Williams, who would only last with the team until 2013. He would later endure a long sequence of mediocre (at best) stints with the Kings, Knicks, Heat and Cavs, before ultimately playing himself out of the league. The sting of this pick was further enhanced by the opportunity cost for Minnesota. Players who were drafted after Williams, included Klay Thompson, Kawhi Leonard, Enes Kanter, Tristan Thompson, and many others, in what turned out to be a highly prolific draft class. Michael Jordan is the greatest player in NBA history, but he hasn’t had nearly as much success when evaluating talent and incoming prospects. 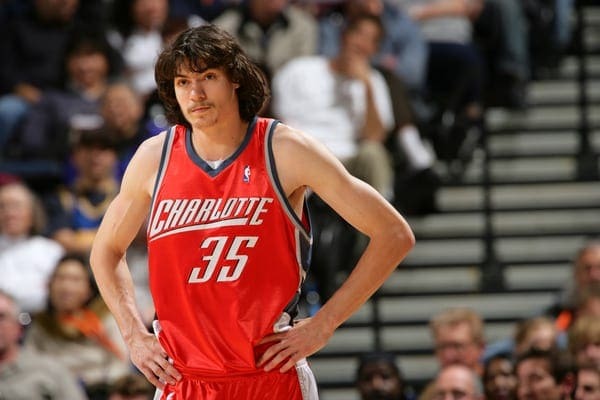 In 2006, MJ decided to draft Adam Morrison out of Gonzaga with the third pick in the draft. In the process, he gave up on taking Rajon Rondo, Rudy Gay, and J.J. Redick. To say that Morrison was not a good fit in the NBA is an understatement, as he was already out of the league by 2010. 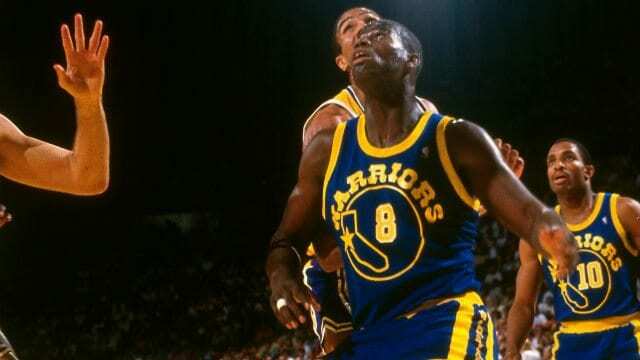 He averaged just 7.5 points, 2.1 rebounds and 1.4 assists during his very short NBA career. 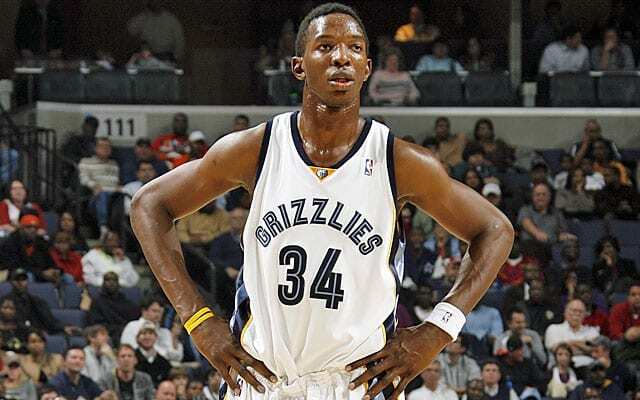 Not many people recognize the magnitude of this mistake by the Memphis Grizzlies, who used the second overall pick in the draft to take Thabeet. In the process, they relinquished the opportunity to select some of today’s best players. James Harden, Stephen Curry, DeMar DeRozan, and Ricky Rubio, were all there for the taking. This is one decision that still haunts the Grizzlies organization to this day. Meanwhile, Thabeet was initially sent down to the D-League just one year after being drafted. He later was recalled by the Grizzlies, and what ensued was a long series of team-hopping, as he bounced around NBA (and other D-League) rosters, including Houston, Portland, OKC, Philadelphia, and Detroit. Bowie earns this spot on the list for several reasons. But perhaps the biggest contributor is the list of players that were drafted after him. 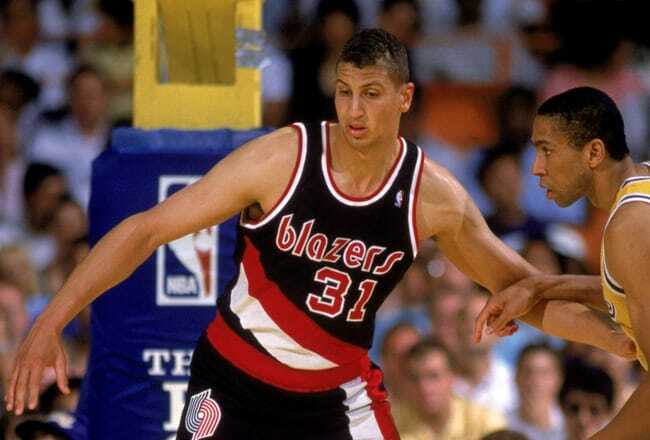 While he was the second pick in the 1984 draft, the Trail Blazers passed on players such as Michael Jordan, Charles Barkley, and John Stockton, in order to secure his services. Bowie is another player whose career did not pan out as expected, predominantly as a result of multiple injuries. Over the years, Portland has justified not picking MJ, due to drafting Clyde Drexler a year earlier. While Drexler had a very solid career, it did not yield the multiple championships that Jordan won during his career with the Bulls. While Darko was seen as a rare talent, he also came into the league in one of the best draft classes in recent memory. LeBron James was selected by the Cleveland Cavaliers with the number one pick in the 2003 draft. 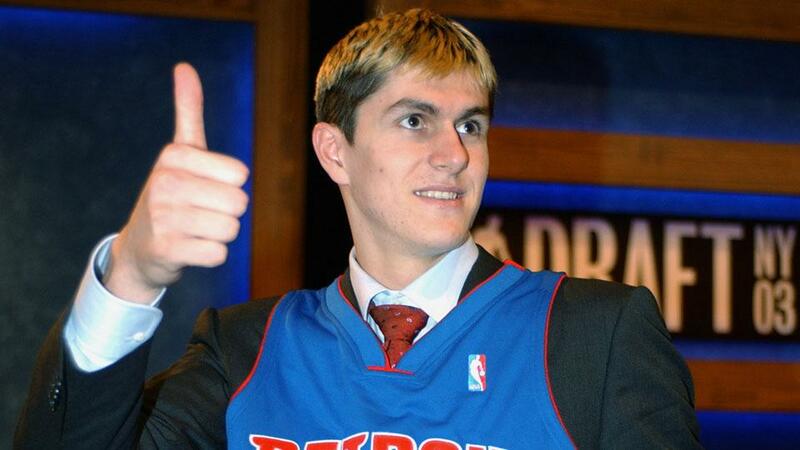 But then it was the Detroit Pistons’ turn to make their pick. This is a classic example of getting a little too fancy. Detroit opted to take Darko with the second pick in the draft, passing up on some eventual great players in Carmelo Anthony (3rd pick), Chris Bosh (4th pick), and Dwayne Wade (5th pick). Meanwhile, Milicic failed to meet his expectations, and was no longer on the Pistons roster just two and a half years later. Another bad decision by Michael Jordan, who at the time was the Wizards President of Basketball Operations. It’s easy to understand the hype surrounding Brown ahead of the 2001 draft. While he never played college ball, his performance at Glynn Academy was outstanding, as he became the program’s all-time leader in rebounds (1,235) and blocks (605), as well as second in points. But Michael Jordan’s decision to make this the number one overall pick did not pan out, as he was traded to the Lakers four years later. He then became a journeyman, and couldn’t stick to any roster for a considerable time period. Notable players that Washington passed on to pick Brown, include Pau Gasol, Tony Parker, and Zach Randolph among others. In the spring of 2007, the Portland Trail Blazers selected Oden with the number one overall pick. However, just several months later in September, he underwent microfracture surgery on his right knee. The procedure caused him to miss his entire rookie season, and he didn’t play in his first NBA game until the following year. Oden showed promise in sporadic appearances for Portland, but he had several seasons cut significantly short due to knee ailments and other health issues. What makes this pick so much worse, is the fact that the Trail Blazers passed on Kevin Durant, who was drafted by the Seattle SuperSonics (later OKC Thunder), with the very next pick after Oden.